With Gov. Michael J. Dunleavy’s threats to deeply cut the budget with the line item veto, the House voted against making $1.3 billion in already-approved K-12 funding available for his veto. The House voted 27-10 against an amendment to the operating budget on Wednesday night that would have undone the forward funding of K-12 schools approved in last year’s legislative session. The 2018 Legislature approved funding for both the current fiscal year and for the upcoming fiscal year at the time. Dunleavy has proposed cutting education in his largely ignored Feb. 13 operating budget proposal. He proposed reducing the base student allocation funding formula, which would have resulted in an overall 25 percent cut to the state’s direct support of schools, or $325 million in undesignated general funds. The amendment was brought forward by Rep. Ben Carpenter, R-Nikiski, who argued that the forward funding of education was unconstitutional because it committed future Legislatures to spend money. 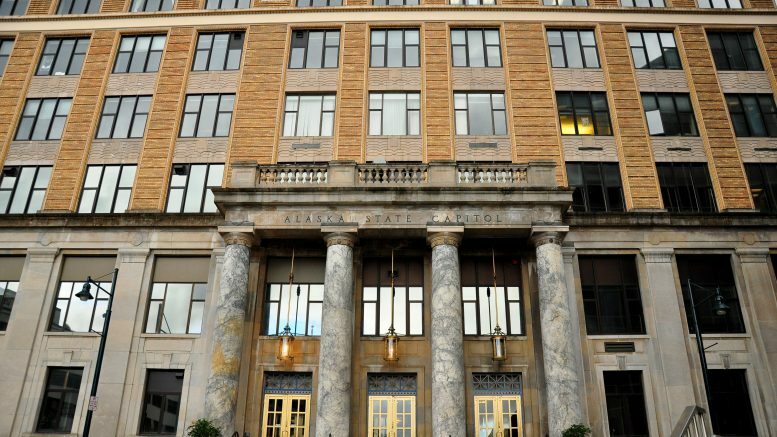 House Minority Leader Rep. Lance Pruitt, the Anchorage Republican whose wife has a communications contract with the Dunleavy administration, also noted that there was a legal memo from Attorney General-designee Kevin Clarkson outlining the same concerns. He argued that this was different than pervious efforts because it bound future revenue, not already in-hand money. Rep. Neal Foster, the Nome Democrat who co-chairs the House Finance Committee, countered that the forward funding of education isn’t unconstitutional because the Legislature has the opportunity to change its mind, as Carpenter was proposing with the amendment. “Forward funding of education has not been ruled to be unconstitutional. Legislatures have done it in the past. Legislative Legal recently issued a memo saying forward funding is lawful and forward funding is not binding on a future legislature because we can change that if we so choose,” he said. And when given the opportunity to change the course on forward funding of K-12 schools, there was broad opposition to the change. The amendment failed 27-10 with every member of the majority coalition voting against it. Minority Republican Reps. Kelly Merrick, Laddie Shaw and Sara Rasmussen also voted against the measure. This comes at a time when the governor has proposed making deep cuts to the budget if he doesn’t get his way on three constitutional amendments—which also face deep skepticism in the Republican Senate—and crime bills—one that would increase the prison budget by about $41 million by putting more people behind bars for longer—that have generally gone overlooked so far. Delivering on his threat, however, will be difficult if the $1.3 billion of K-12 forward funding is off the table and the other large part of the state’s budget—Medicaid—is largely driven by federal formulas. A cut to Medicaid, as we’ve seen in years past, doesn’t prevent spending and would likely need to be made up through a supplemental request or let medical providers go unpaid. Also what’s gone largely ignored is the Legislature’s refusal to even consider Dunleavy’s legislative proposals to seize municipal property taxes collected on oil and gas properties as well as fisheries tax revenue shared with communities. The municipal property tax bill alone accounts for a $439 million hole in the governor’s proposed budget. Both Pruitt and Foster mentioned legal memos about the issue, with the Dunleavy administration making the case that education funding even as it’s currently set in law should be available for veto while the Legislature and its legal team have argued otherwise. Foster defended the concept of forward funding of education as giving schools much-needed stability and certainty in a generally uncertain time. The House also voted to reinstate 50% of the funding for school bond debt reimbursement. The amendment, which was taken right after Carpenter’s attempt to undo forward funding, would put about $50 million to the program with an additional $19.6 million going to Regional Education Attendance Areas and small municipal school district fund. The House had followed Dunleavy’s lead on eliminating the funding during the committee process, a vote that raised alarm bells with local municipalities that worried about its impact on local property taxes. 4 Comments on "House preserves forward funding of K-12 education, sparing it from potential veto"
LEARN TO USE LOWER CASE SO WHEN YOU MAKE REALLY DUMB COMMENTS ABOUT THE PERCORMANCE OF OUR SCHOOLS—JUST LIKE GOVERNOR DUNLEAVY DOES—IT’S NOT SO OBVIOUS. There is not an achievement gap between Alaska’s schools and the Lower 48; there is an achievement gap between rural—largely Native—schoolsand Urban Schools in Alaska. What does THAT mean? A REAL GOVERNOR AND NOT A #FakeGovernor would conclude that a significant investment in assessment and reform of Rural schools needs to occur. A REAL GOVERNOR AND NOT A #FakeGovernor would identify the problem that is revealed by the performance scores and NOT CYNICALLY AND MALICIOUSLY USE RURAL PERFORMANCE AS A DRAG ON OVERALL SCORES IN ORDER TO JUSTIFY CUTS TO EDUCATION!!! I see a couple of “typos”. No edit capability so I am pointing them out before the DunleavyLovers Jump on them. My bad. MeaEffingCulpa. Thank you Elstun. I wish facts mattered to the education/child haters. I also wish we had a real Governor & real education leaders in this administration.